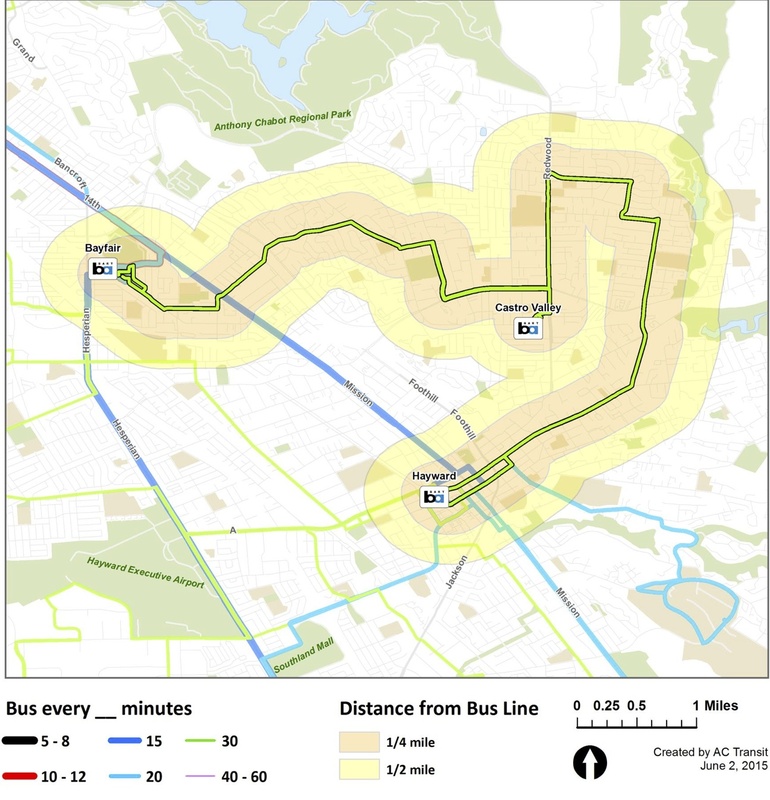 AC Transit is proposing a substantial change in bus service in Castro Valley. AC Transit Line 32 and AC Transit Line 48 will be eliminated, and a new Line L10 will run through Castro Valley. The frequency of this line will be every half-hour. AC Transit has more information on their proposed AC Transit service changes in San Leandro and Hayward. You can use this AC Transit survey to provide feedback on the proposed service changes in Castro Valley.